No one wants to see their hard-earned money and property used to pay off creditor claims, a risk both personally and for potential heirs. Asset protection measures can mitigate this risk. 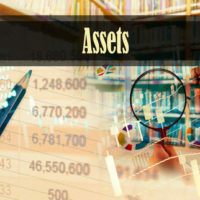 While transferring assets for the express purpose of thwarting a pending creditor’s claim may be ineffective, it is possible to use asset planning strategies to proactively address this risk before a problem arises. The traditional estate planning choice of executing a will, is not effective at blocking claims from creditors or tax authorities when a person dies. Probate, the process by which a deceased person’s assets are distributed if property does not automatically pass to a new owner, specifically incorporates creditor claims into the process, which depletes what one’s heirs ultimately receive. Further, the heirs themselves may have creditor issues, and face losing inherited assets if the estate plan is not properly structured. A discussion of how various types of trusts work to protect assets from creditors for both the person passing on the property and their recipients will follow below. The easiest way to pass on an estate to children and other loved ones is to give gifts during one’s lifetime. Current law allows an individual to gift up to $15,000 ($30,000 if the gift is made by a married couple) every year to as many people as desired without reporting it to the IRS, or incurring any federal gift tax. This option will reduce the size of one’s taxable estate, and leave less for creditors to claim, but it does not guard against a recipient losing the money to creditors or mere mismanagement. Instead, setting up a spendthrift trust is an effective way to protect these assets far into the future. Parents can use spendthrift provisions to shield the property from a child’s creditors by restricting a child’s ability to transfer or pledge an interest to a third party. As long as the child’s interest in the trust is created by another person, Florida law will protect it from the child’s creditors. The restriction in the trust prohibiting the transfer of a beneficiary’s interest in the Trust must cover both voluntary and involuntary “transfers” in order to fully block any of the child’s creditors from reaching the assets in the trust. For very large estates where it is clear that estate taxes will be owed, figuring out how to cover this often large expense can present real problems for surviving family members. Being forced to sell a family business or liquidate retirement accounts to pay estate taxes may cause a huge financial injury, and thus is not a great option. Establishing a life insurance trust to cover estate taxes could be a better alternative. This involves placing ownership of a life insurance policy under the control of a trustee, other than the insured. The proceeds of the life insurance policy can then be used to pay taxes. The beneficiaries of the trust, usually children or grandchildren, will receive any life insurance that remains after taxes are paid. Because the proceeds are paid directly to the trustee, they escape estate and income tax, and can be fully earmarked to cover other expenses, which avoids the need to sell or liquidate other assets. Finally, for parents with concerns over family assets being lost in the divorce of a child, there is the heritage trust. This arrangement helps to ensure assets remain in the possession of blood relations and avoid creditor claims. The child is named as trustee and beneficiary, and upon the death of the parent, can access both principal and income. Whatever remains when the child dies is automatically passed on, in trust, to his/her heirs. Also, because the benefit in this type of trust is separate from the child’s marital assets, it is protected from division in the event of divorce. Keeping your legacy from the government and creditors is important for the long-term financial stability of your family. William Rambaum, P.A. has experience in elder law issues and offers seniors legal counsel in all areas of asset protection, so your family can receive the greatest benefit from your lifetime of work and sacrifice. Contact the Oldsmar law firm today to schedule an appointment.